OneNote is completely free to download, and free to use for up to 500 notes — without restrictions. You can view, sync (as much as you like), and delete the notes you create without paying a penny. If you find that you need more than 500 notes, however, you can upgrade for a one-time fee of $4.99 for unlimited use. Like Microsoft’s existing OneNote mobile apps, the Android release enables you to take the notes you create on your PC — or any other device running OneNote — with you wherever you go, allowing you to view and edit them anytime, anywhere. You can create new notes with text, pictures, and bulleted lists; or create to-do lists with checkboxes. OneNote for Android requires Android 2.3 or higher, and you must have a Windows Live ID to login. 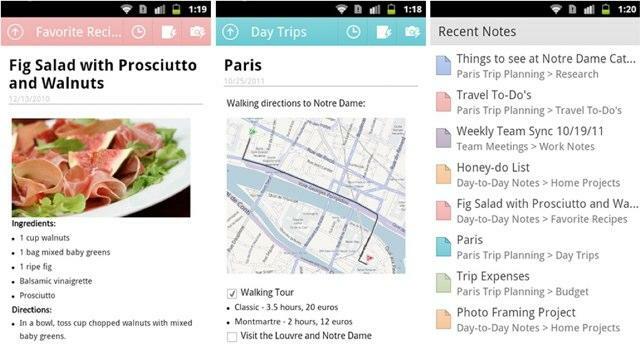 Have you tried OneNote for Android yet?